Get an unforgettable experience, breathe in deeper, there are forest and fresh air around you. Regardless of the time of the year you arrive in Minsk, you will receive a warm welcome at the airport. The agile driver will place carefully your luggage in a comfortable car. National Airport Minsk is approximately 45 km from the main sights of the capital of the Republic of Belarus. The trip takes 40-50 minutes. Our professional guide, who has the obligatory state certification, will show you with the most interesting local sights. Arrival, check-in to the Hotel. Rest. Walk through the evening city. Overnight stay. Breakfast at the hotel. Warm welcome by guide. During the sightseeing tour you will get to know the history and culture of the city, you will have an opportunity to see the most famous sights of the capital of Belarus. During the sightseeing tour you will get to know the history and culture of the city, you will have an opportunity to see the most famous sights of the capital of Belarus. You will have a walking tour through Independence Square; you will see a uncommon monument of Vladimir Lenin; you will hear the tragic story of the Church of St. Simeon and St. Helena. From the window of the bus you may see the building of “Stalin’s Empire” style- the KGB, the Ministry of Internal Affairs, the largest department store GUM. The KGB building on Independence Avenue was recognized as the best architectural construction in the USSR. You will take a walk along the Upper Town. There will be an opportunity to take a photo of the beautiful panorama of the city from the observation deck, to see the Cathedral of Holy Spirit, the Town Hall. On Victory Square you will have a chance to see one of the most grandiose and majestic architectural ensembles in Minsk and to make a walk along the streets of Trinity Suburb. During the lunch time you will be surprised at the variety of delicious dishes of Belarusian cuisine in the restaurant "U Fransiska". Free time. Visit to the National Art Museum. Rest. Visit to the Bolshoi Opera and Ballet Theater, the Belarusian Musical Theater, the State Circus. Dinner. Overnight stay. Breakfast at the hotel. Excursion to industrial enterprises, please make a choice: Minsk Tractor Plant, Sparkling Wine Factory, Alivaria Brewery, Zorka Jewelry Factory. Dinner. Free time. Breakfast at the hotel. Visit to the main food market of Minsk - “Komarovka”. Departure to the airport. Tour name: Minsk TimeDuration 4 daysStart: National Airport MinskSolo Travel, Group Travel.. Arrival in Minsk. Welcome by the local guide. Transfer to the hotel, check-in. Dinner (the dinner time depends on the time of arrival). Overnight stay. Breakfast at the hotel. Sightseeing tour in Minsk: Independence Square, Freedom Square, Trinity Suburb, Holy Spirit Cathedral, Cathedral of St. Peter and Paul, Yakub Kolas Square, Victory Square, National Library. Dinner. Departure to the Berezinsky Biosphere Reserve. Arrival. Dinner. Overnight stay there. Breakfast at the hotel. Walking tour through the Berezinsky Biosphere Reserve. This reserve has a special significance not only for Belarus, but for the whole Europe due to the biological diversity and uniqueness of nature. There are dense forests, marshy swamps, clean reservoirs and clear meadows. 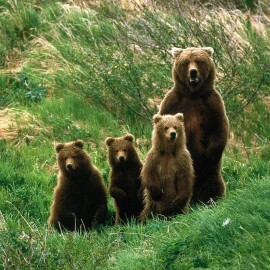 Tourists will get acquainted with the life of wild animals and birds, untouched corners of nature. Photo-safari from the special shelters. Boating. Dinner. Return to the hotel for dinner. Rest. Breakfast at the hotel. Departure to the National Park “Narochansky”. You will have an exciting tour around the Naroch region. Tourists will get acquainted with the natural features of the region, the historical past, monuments of architecture. Dinner. Walk. It is possible to organize fishing at the fish farm “Shemetovo”. Rest. Departure to the National Park “Belovezhskaya Pushcha” after an early breakfast at the hotel. On the way you will discover the historical sights of Belarusian cities like Lida, Novogrudok. Dinner. Arrival at Belovezhskaya Pushcha. Dinner. Rest. Breakfast at the hotel. Observation of wild animals. Belovezhskaya Pushcha was the favorite hunting place for the Russian Tsar Nicholas II and his retinue. The guide will tell to the tourists about rich history of the forest, incidents with hunters, cases from the life of wildlife. Dinner. Biking. Rest. Overnight stay. Breakfast at the hotel. Departure to Brest. City tour. Visit to the Brest Fortress. Departure to Minsk. On the way you will visit the Mir Castle Complex and the National Historical and Cultural Museum-Reserve “Nesvizh” which included in the UNESCO World Heritage List. Arrival in Minsk, check-in to the hotel. Dinner. Rest. Breakfast at the hotel. Visit of the Komarovsky market - “Komarovka”. Departure to the airport (railway station). Personality is considered the main contemporary fashion trend, and precious jewellery along with stylish clothes will perfectly accentuate it. If you want to demonstrate exquisite taste and style, or material wealth, the jewellery of famous Zorka factory will perfectly suit you. The combination of the most state-of-the-art equipment and high level of professionalism results in unique jewellery, which are not just adornments, but rather a way of expression and can justly become family treasures. The tour to Zorka jewellery factory introduces with a complicated technological process, which involves many stages of creating beautiful jewellery from sketches to the realization of the unique products. Tourists will enrich their knowledge about the peculiarities of precious metals such as gold and silver, they will see the process of jewellery making using precious stones - diamonds, sapphires, topazes. After the tour, guests will visit the branded show room of the factory where all trendy jewellery collections for young people, children, collections of classic and original design for men and women are presented, and the prices will surely surprise you. The showroom is a place where you can try on and purchase beautiful jewellery made by factory designers. Interesting and unique collections are presented in the highest quality and at very attractive prices. Purchase of jewellery is Tax-Free. Minimum age of a tour participant – without limitations. To commemorate a successful purchase it is possible to organize drinks reception for additional cost.